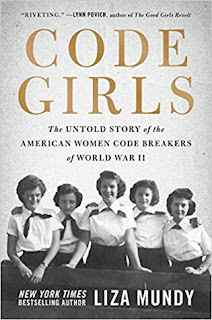 Code Girls charts the work of the 10,000 women recruited by the U.S. Army and Navy during World War II to crack the Japanese, German and other nation’s encrypted communications. Many were recruited from elite women’s universities and from the ranks of those who had attended college, particularly those with a maths and linguistics background and were employed in teaching, but also more broadly. By the war’s end the vast majority of code-breakers were women and they were responsible for cracking most of the major ciphers. Mundy tells the tale of these women, both focusing on individual stories and the wider historical context. 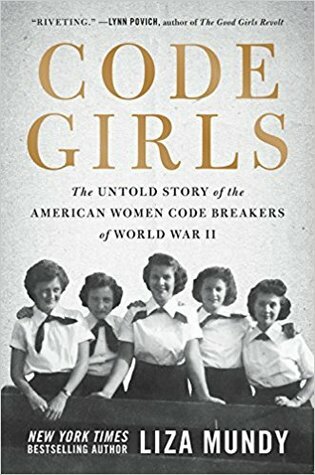 So, on the one side she details the lives of Dot and Ruth, two women who met in Washington DC working at Arlington Hall breaking codes and became life-long friends, along with a number of other women working for both the Army and Navy. On the other, she details the longer history of women working in code-breaking in United States, the wider context of the women’s work, and the effects their work had on the wider war. This blending makes for a compelling read, providing personal colour mixed with a grounding in the wider history, and it’s clear that there is a substantial amount of oral history and archival research underpinning the narrative. 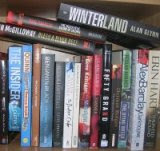 At times, however, it feels a little bit too much of a Dot biography. Moreover, the timeline gets scrambled quite a bit, jumping back- and-forth, making it tricky to keep a track of the order of events. Overall though, this is a fascinating, engaging account of the work and impact of the women who toiled long, frustrating hours to break enemy codes.